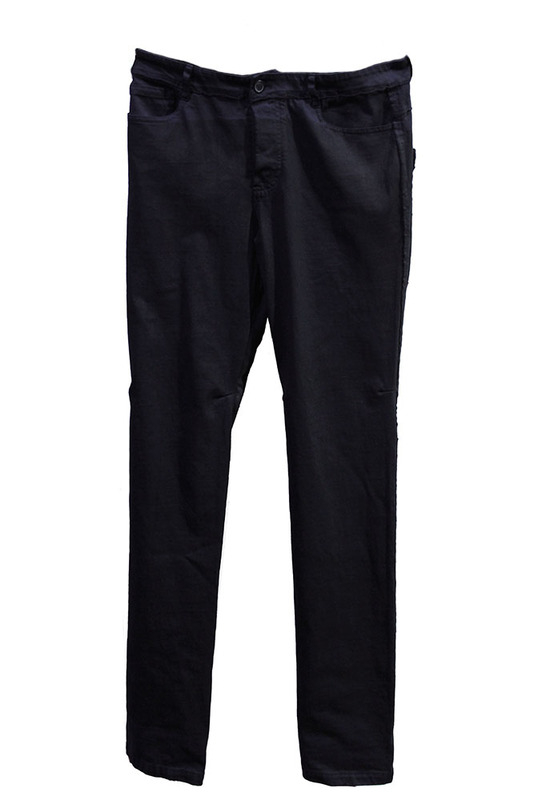 Rundholz Dip Collection slightly tapered trousers in overdyed cotton. Belt loops. 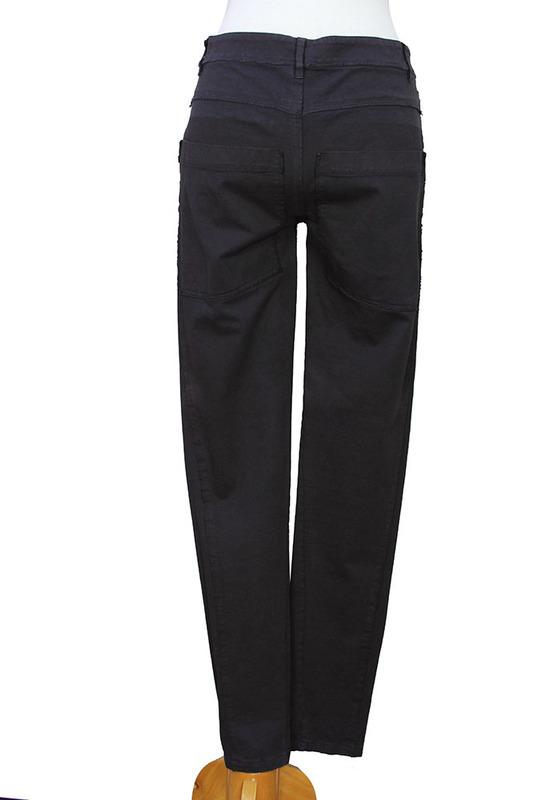 Short, 3 buttoned fly with covering placket and button fastening on waistband. Raw edged panel below waistband. 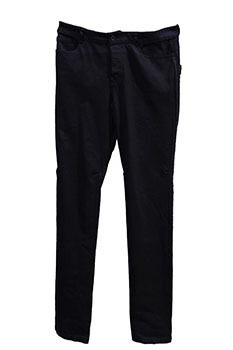 2 rounded pockets with double stitched trim and in the right pocket there is a small, patch ticket pocket. At the rear there are 2 large patch pockets with rolled, raw edged detail. Raw edge seams down the sides of each leg. Finished hems.